Summer is Coming! 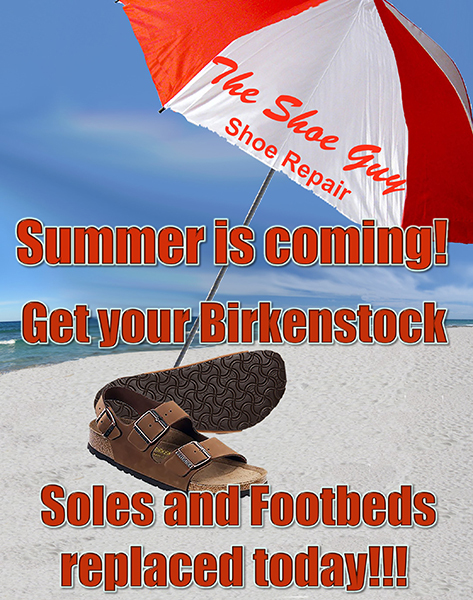 Get your Birkenstock Soles and Footbeds replaced today!!! Soles and Footbeds replaced today!! !